David and I have just returned from a trip to Kent where David did a demonstration for Hythe Art Society at the stunningly beautiful Lympne Castle, overlooking Romney Marsh, to celebrate their 50th Anniversary. We were made very welcome by this warm and friendly art group and shared their celebration tea with them after the demonstration. 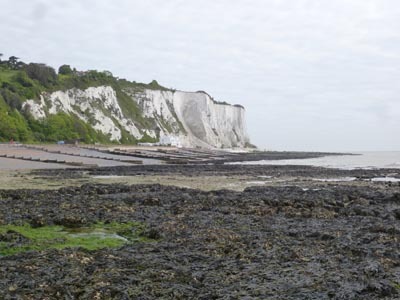 We took the opportunity whilst in this beautiful corner of England to explore Dover Castle, Folkstone Harbour and St Margaret’s at Cliffe, which yielded numerous sketching subjects. 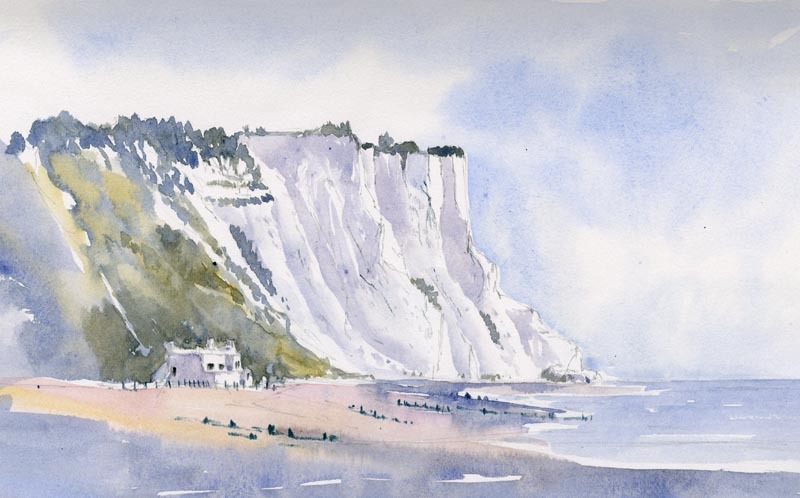 The weather was beautiful as we sketched the White Cliffs of Dover in the hazy sunshine. I know I’ve said it before but I can’t emphasis enough how important sketching out of doors is to improve your painting. The watercolour sketch above only took about 30 minutes to complete. Working in a hardback cartridge paper sketchbook, with a slight breeze to dry the washes, I was aiming to capture the freshness of the morning and the delicate quality of the light. Leaving out lots of foreground detail to retain the freshness I was aiming for. 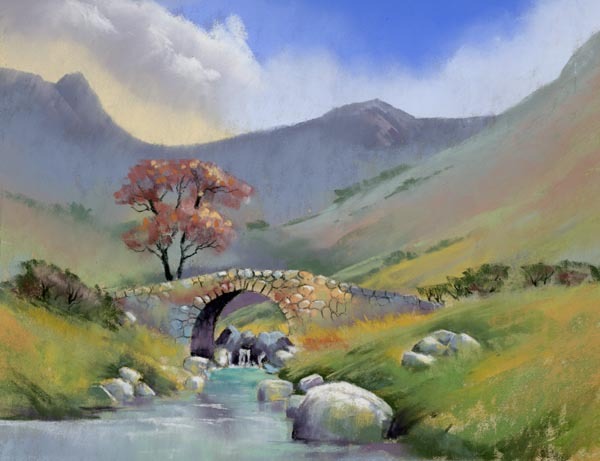 So often a sketch can capture something that is lacking in a finished painting, and working purely from a photograph can rarely portray the magic of a place. When I look at the sketch I can smell the sea, but not when I look at the photograph. I recently had an email inquiring about which sketchbooks I recommend. 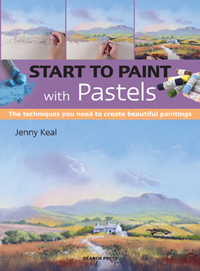 I thought other artists would find this useful too, so I am sharing this information here. 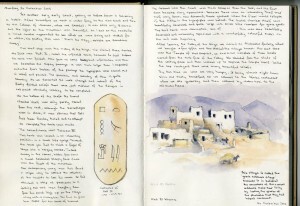 David and I both have a large collections of sketchbooks, The UK ones are dedicated to certain counties, or regions such as Mid Wales, Lake District, Yorkshire etc. 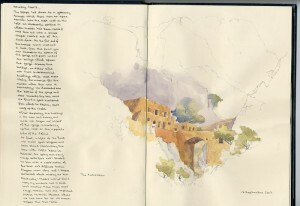 and the overseas ones are illustrated daily journals of the trip, with text and drawings and paintings. We have used a number of different brands over the years, some of which are no longer available but the ones we currently use are Daler Rowney Ebony Hardback Sketchbooks in either A5 or A4 sizes. Many of the UK ones and all of the overseas ones are in casebound hardback sketchbooks with cartridge paper, either A4 or A5. Casebound books are more durable than ring bound ones and have the advantage that you can write on the spine and then organise them on a bookshelf. The other advantage of a casebound book is that you can extend the sketch over a double page spread and with an A4 sketchbook that means you have an area A3 in size. The paper weight is also important if you intend to use watercolour in your sketches. I would say that 150 gsm cartridge paper is the minimum weight to look for. There are a number of casebound sketchbooks coming onto the market and not always in art shops, some stationery shops now seem to stock plain cartridge paper casebound books. but check the paper weight carefully before you buy. 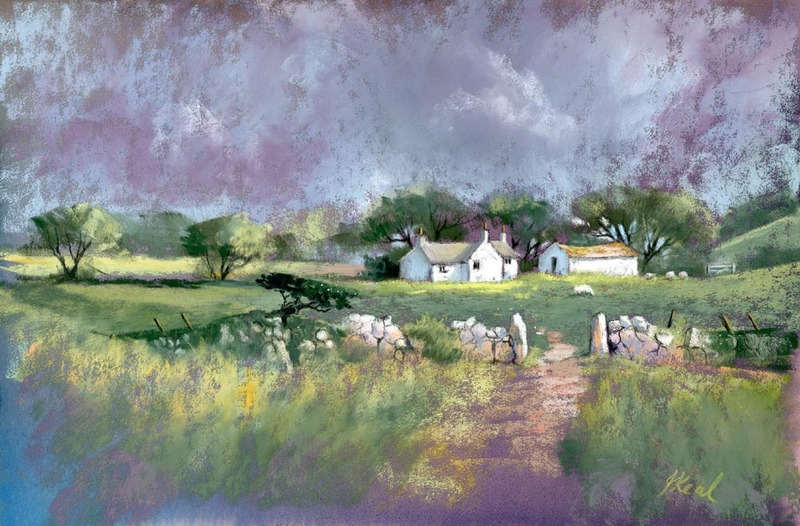 David and I strongly believe that sketching out of doors is the best way to improve your artwork, and if you paint in watercolour then sketching in watercolour out of doors is a truly liberating and exciting experience and will almost certainly improve your studio watercolours. I hope you can discover the pleasure of working out of doors in front of nature.